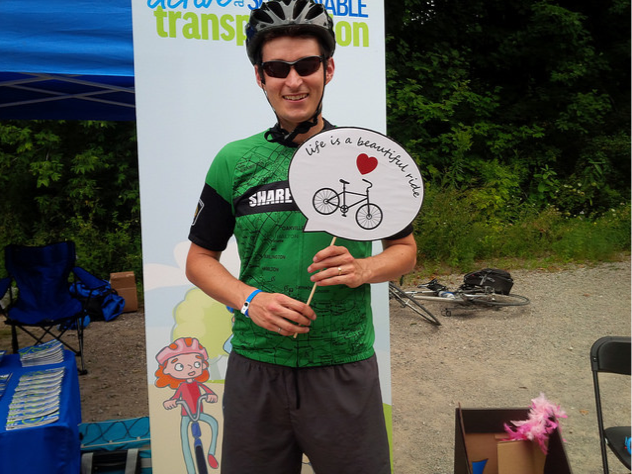 Last week, I was fortunate to join 130 cyclists from cities across North America to participate in the Great Waterfront Trail Adventure - Greenbelt Edition. 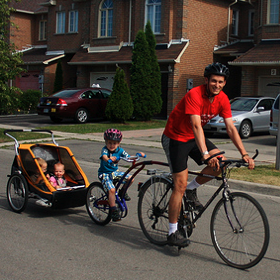 The Greenbelt Route, a 475 km cycling route from Northumberland County to Niagara Region, has now launched. 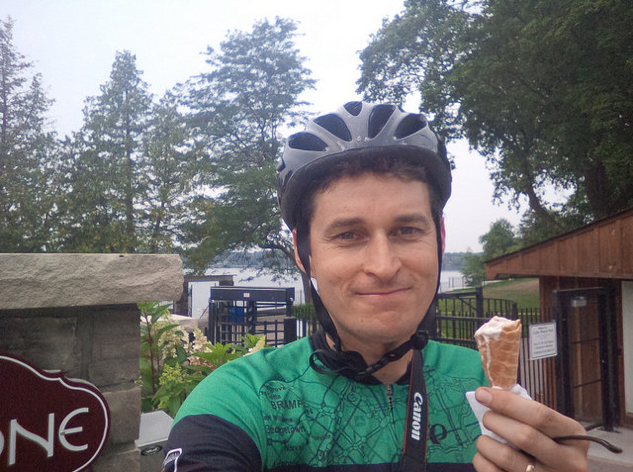 I rode the two days through York Region and had a fantastic cycling adventure exploring the countryside and it's communities along the way. "After three years of planning alongside the Waterfront Regeneration Trust and in collaboration with 27 partner communities, the official launch of the Route is a spectacular milestone. More than 1,100 signs are up, the Route is mapped, the website is live, and all in time for last week's inaugural six-day ride celebrating 10 years of Ontario's Greenbelt." 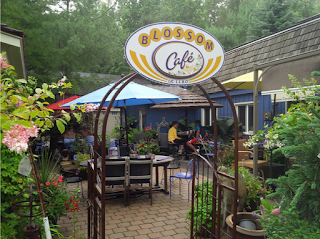 The Route passes Musselman's Lake with a ice cream shop, Belgian Chocolates as well as Fishbones Restaurant, with a patio overlooking the lake. As you approach Industrial Parkway, the Nokiidaa Trail continues south past the Aurora Arboretum. This is where the Greenbelt Route intersects with the future Lake to Lake Route. As you pass by the provincially significant McKenzie Marsh wetland on the Nokiidaa Trail boardwalk link, look for turtles, herons, and other wildlife. 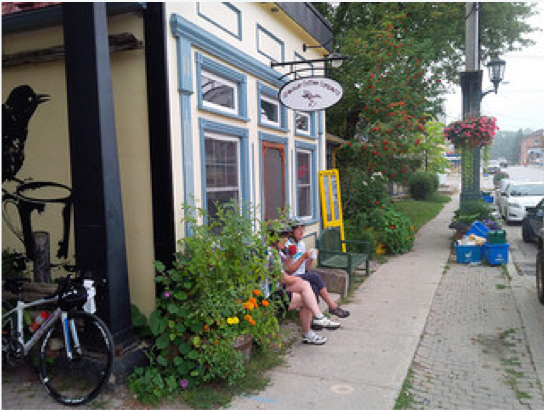 Take a detour north along the Tom Taylor Trail another 2km for the historic Main Street Newmarket with lots of shops and restarants such as Cachet or Hungry Brew Hops, or cool off in the fountains at Riverwalk Commons. Cross Yonge Street along Savage, and connect with the John F. Smith Trail to Mulock. Be prepared for some hills along 19th Sideroad between Bathurst and Keele. You'll pass by Thornton Bales Conservation Area as well as the Koffler Scientific Reserve at Jokers Hill. I stopped for lunch at the Kettleby bakery. A sleepy and picturesque little community with a great park at the end of the main street. Holland Marsh is directly to the north. Round the Bend Farm is a short detour on Jane St, south of Lloydtown-Aurora Road. In Pottageville, I recommend a stop at Pathways to Perrenials, which is like an oasis. 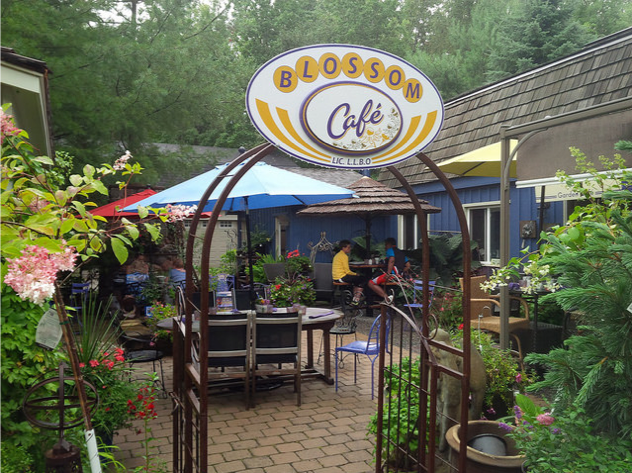 The Blossom Cafe is open from 11am - 3pm and is staffed by a professional chef. Schomberg has a nice Main Street with some unique shops and restaurants. 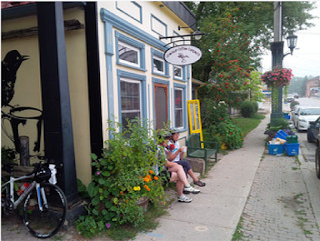 Sheena's Kitchen, the Schomberg Pub, and the Grackle Coffee Company are among them. Cycling in the Greenbelt allows you the opportunity to enjoy its beauty and bounty: Rolling hills, scenic landscapes, farm fresh food, and welcoming people. Adventure awaits!